Another in a series of heat waves is anticipated for this week and next throughout Washington County and the rest of the metro area. 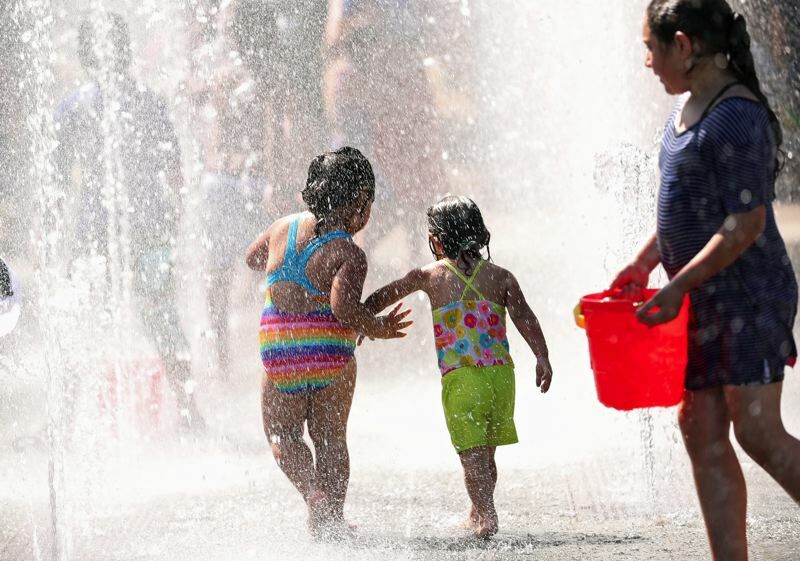 The region could break the triple-digit barrier on Tuesday, with a predicted high of 98 degrees at Portland International Airport. The latest in a string of heat waves will continue through next week. The most vulnerable individuals are those who work or exercise outdoors, older adults, infants, children under four, people with chronic medical conditions, and those experiencing homelessness. "If your home doesn't have air conditioning, find a place to stay cool," said Deputy Health Officer Dr. Christina Baumann. "Consider visiting a library or indoor shopping mall to get away from the heat. Also, please remember to check on any vulnerable neighbors." Updates to this list can be found at https://bit.ly/2zVZnmx. • Garden Home Community Library will be open during their normal hours at 7475 S.W. Oleson Road, Portland. • Sherwood Public Library will be open during their normal hours at 22560 S.W. Pine St., Sherwood. • Tigard Public Library will be open during their normal hours at 13500 S.W. Hall Blvd., Tigard. • Tualatin Public Library will be open during their normal hours at 18878 S.W. Martinazzi Ave., Tualatin. • Tualatin Hills Park & Recreation District, Athletic Center, will be open during normal hours at 15707 S.W. Walker Road, Beaverton. • Tualatin Hills Park & Recreation District, Cedar Hills Recreation Center, will be open during normal hours at 11640 S.W. Parkway, Portland. • Tualatin Hills Park & Recreation District, Conestoga Recreation & Aquatic Center, will be open during normal hours at 9985 S.W. 125th St., Beaverton. • Tualatin Hills Park & Recreation District, Garden Home Recreation Center, will be open during normal hours at 7475 S.W. Oleson Road, Portland. • Boys & Girls Aid Safe Place for Youth will be open during their normal hours. A Safe Place for Youth is at 454 S.W. Washington St. in Hillsboro. • Cornelius Public Library will be open during their normal hours at 1355 N. Barlow St., Cornelius. • Forest Grove Library will be open during their normal hours at 2114 Pacific Ave., Forest Grove. • Hillsboro Brookwood Library will be open during their normal hours at 2850 Brookwood Parkway, Hillsboro. • Hillsboro Community Senior Center will be open during their normal hours at 750 S.E. Eighth Ave., Hillsboro. • Hillsboro Shute Park Aquatic & Recreation Center's lobby area will be open during their normal hours at 953 S.E. Maple St., Hillsboro. • Hillsboro Shute Park Library will be open during their normal hours at 775 S..E 10th Ave., Hillsboro. • North Plains Library will extend their hours until 9 p.m. on Tuesday to Thursday, Aug. 7 to 9, at 31334 N.W. Commercial St., North Plains. • Stay in an air-conditioned indoor location as much as possible. • Drink plenty of fluids (water is best), even if you don't feel thirsty. • Wear loose, lightweight, light-colored clothing and sunscreen. • Exercise in the early morning when it tends to be cooler. • Avoid strenuous activity in the heat of the day. • Take cool showers or baths. • Close your blinds and curtains to keep sunlight out. • If the temperature falls at night, open your windows to let the cool air in (if it is safe to do so). 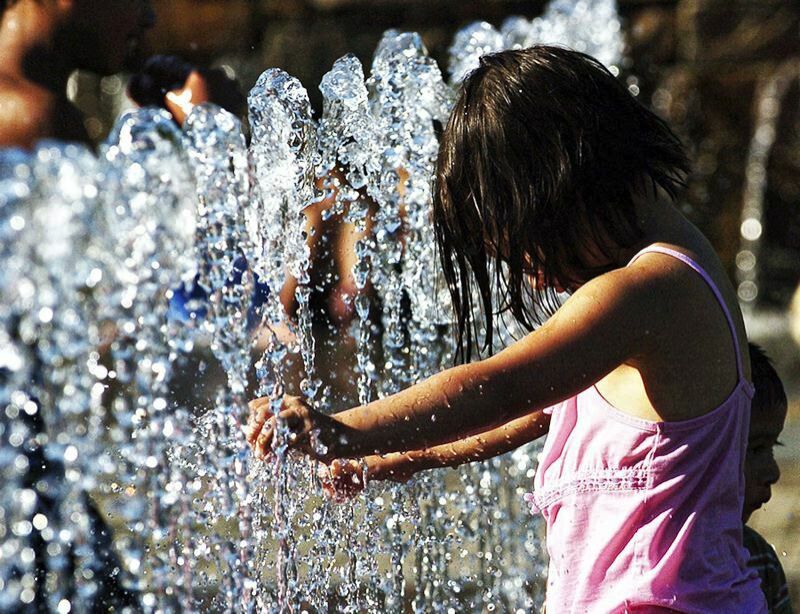 • Find a local fountain or splash pad, play in a sprinkler, etc. • Do not rely on a fan as your primary cooling device when it is very hot. Instead, mist yourself with a spray bottle, and then use the fan to get the cooling benefits of evaporation. • Do not use your stove/oven or do laundry on very hot days. • Eat small, light meals.